Is It Possible To Create Scarcity in a Coaching Business? The reality is, if you own a business and offer coaching, regardless of which niche you are in, you are simply trading hours for dollars. You only have so many “billable” hours in a day and that poses a unique problem when you are trying to scale your business. 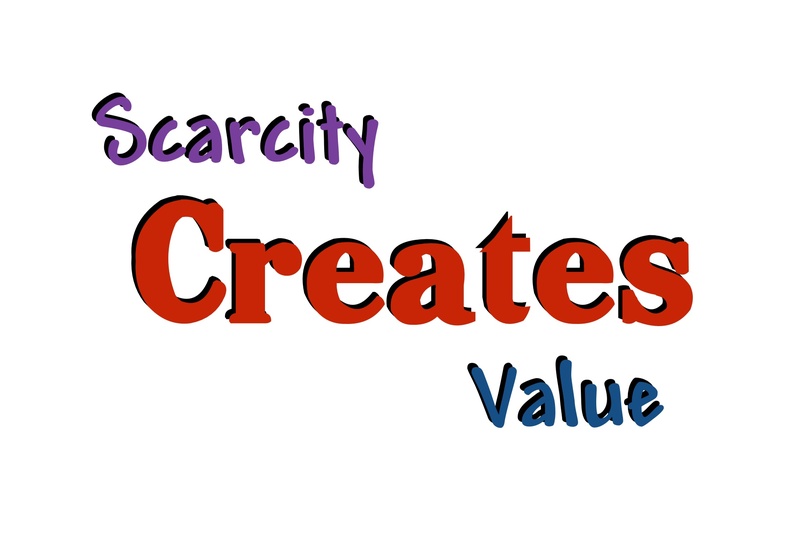 Developing a marketing strategy that includes “scarcity” can be a way to overcome this. Scarcity tactics work so well that you will see then used by small business and big companies alike. There are only so many billable hours in your work week. One mistake I often see coaches make is setting their hourly rate based on a 40 hour work week. When you are running a coaching business, your ‘billable” hours are not the same as the amount of time you are willing to work. This sounds so obvious, but you would be surprised at how often I see this mistake made. You probably will end up discouraged when you sit down and map out exactly how much time is available for client session. Typically, it doesn’t add up to the income that most entrepreneurs want to achieve. So what are you to do? There are several solutions you can offer including an email course delivered via your auto-responder or a course that ‘drips’ your content on membership site. These are the types of programs that take a little effort to set up, but it is well worth the effort because they provide additional income with very little additional work on your part. These are the programs you would offer at a lower price point. Next, you can offer a 6 or 8 week group coaching program where you hold a weekly “live” session using a teleconferencing service. This type of program warrants a higher price because it will take up more of your time. Another option is to offer a high end group coaching program that includes also includes a little one-on-one time each month. The price goes up because it takes more of your time. Do you see the difference when you approach scarcity this way? It is not about the amount of billable hours in the week; it’s about valuing your time. As your client moves across each level of programs offered the number of people allowed to participate gets lower, and the price for entry gets higher. One more thing I love about setting up your coaching business this way is that your client can benefit from your expertise at a price point that is comfortable for them!